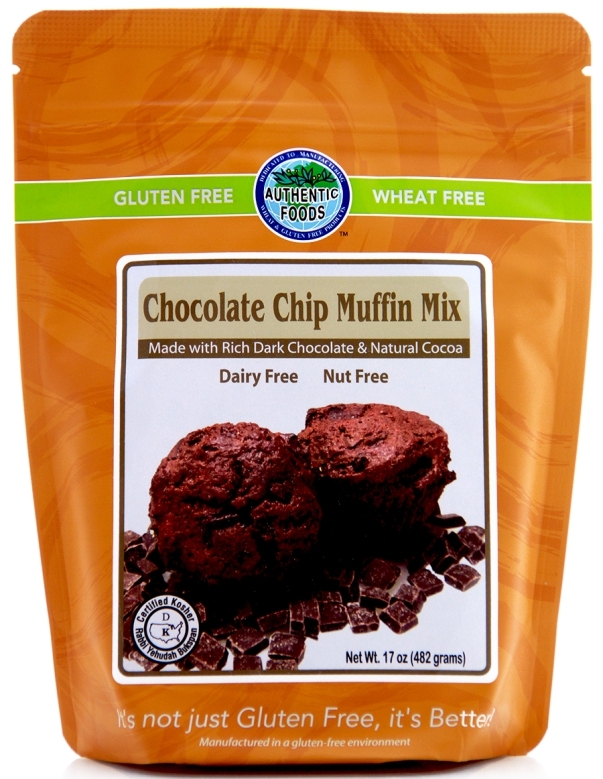 Chocolate Chip Muffins made from the Authentic Foods Chocolate Chip Muffin Mix are perfect to satisfy your sweet tooth morning, noon, or night. At any party or get together, they are guaranteed to be a hit. No one will ever know that these muffins are gluten-free. These muffins are so moist and so easy to make. 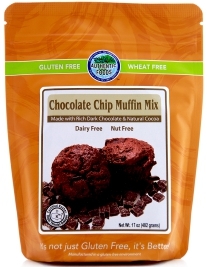 Just mix in eggs, oil and water and you’re on your way to enjoying some great chocolate chip muffins that anyone will think are from a coffee shop or restaurant. Ingredients: Chocolate Chips (granulate cane juice, chocolate liquor, cocoa butter, dextrose, sunflower lecithin, vanilla), cane sugar, cocoa, rice flour, potato, tapioca, baking soda, plant fiber, salt, vanilla powder, cocoa butter, Leavening (monocalcium phosphate, monohydrate, dicalcium phosphate), natural chocolate flavor. smooth. Fold in the chocolate chunks.